This will be my last post from the west coast of California for a while. I finished the summer on the Tole Mour with an amazing trip and an incredible crew. The water was finally starting to warm up after being unusually cold all summer and the whales were out in force. The sailing life has not gotten old, I would love to be on Tole Mour on into the Fall, but the lure of baseball and wildlife in Africa is too great. Hopefully I can send some pretty cool updates from there. 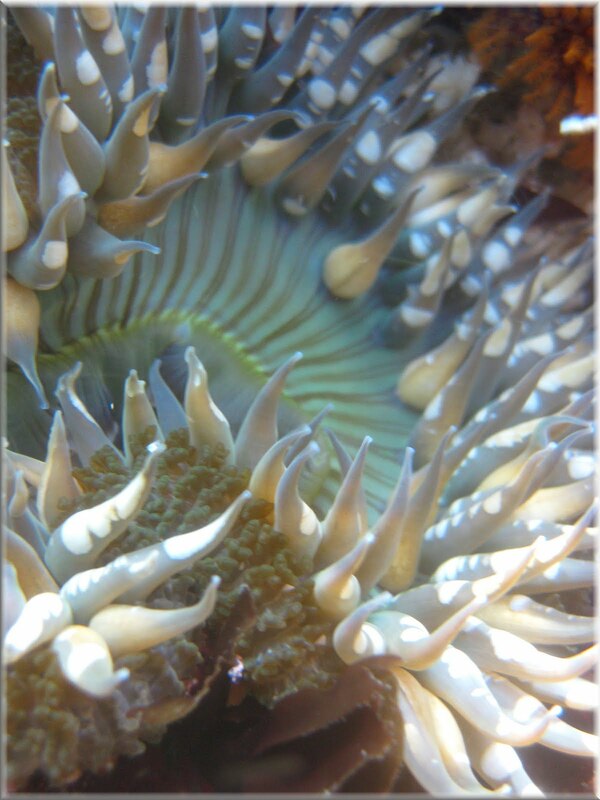 This first pick was with a little point and shoot camera on a snorkel that I was leading at Pelican Bay, Santa Cruz Island. There were amazing arches, crevices, and sea caves. Beautiful anemones like this were on the rocks outside of one of the sea caves. The second pic is of two humpback whales that hung out with our ship for about 25minutes. The got closer and closer until one started scratching his belly on the bottom of the Tole Mour. 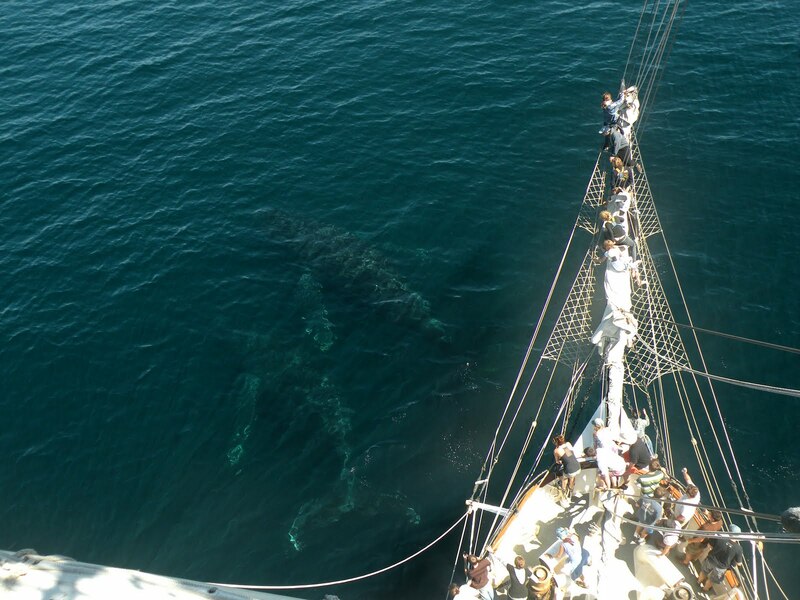 It was a beautiful day and the water was clear enough to get pictures like this, with the two whales passing under our bow completely visible just under the surface. Just imagine being out on the bownet with this is going on. We actually got whale spit from their blowholes in our faces! Not a bad last day. Tole Mour I will miss you. 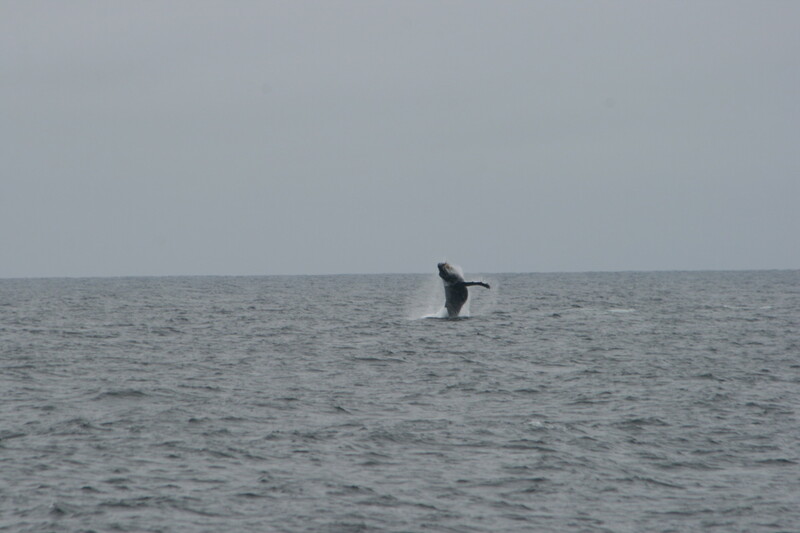 We found this whale off the coast of San Miguel, the northernmost Channel Island. I managed to snap these and capture his majestic breaching way out of the water. We just finished the longest trip of the year on the Tole Mour. 3 Weeks under sail to 8 different islands, 9 if you count one that almost breaks the surface of the ocean. That is an underwater seamount called Cortes Banks. We set all 15 sails, saw 50 whales (humpbacks, blues, fins), had tons of bowriding dolphins, mola mola sightings, and incredible scuba dives. I even scored some incredible waves at a remote spot on Santa Rosa island before cracking the back of my head open with me board. Oooops. Not to worry as Captain Snark glued it back together for me....real wilderness survival stuff. We covered almost 900 nautical miles and made some great memories. Now we are back in port for 2 days before heading out for another week long sail.